For businesses operating in the ICT sector, innovation and participation in the R & D programs are of outstanding significance. Businesses, both professional and enterprise in culture must become capable of that international cooperation, particularly with regard to the Horizon 2020 program assume their role in the project. Our business is designed to provide IT-themed R & D & I projects in the international market opportunities to grow. 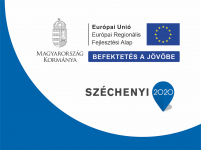 Our goal is to increase our active participation in the European Union’s Horizon 2020 program, join in the national and international innovation. We consider it important to businesses operating in the same field of professional networking and a common professional work. Outstanding importance is given the new trend-driven ideas, innovative utilization of results and open thinking. We seek collaborative partners for joint work. The topic map is an ISO standard for a computer technology information and knowledge management. Any type of overload in information management, knowledge sharing and serves to connect from any source-based report. The computer is a form of knowledge representation. The topic maps are developed for the automatic indexing systems. But the treatment of information resources is managed by the networks. The development of topic maps gave rise to the claim that they wanted commercial papers, documents, texts, along with indicators managed in accordance with uniform standards. To do so, it had to be able to ensure co-operation between a model and a standard application. The ontology building as research and development of the knowledge base is displayed in construction. When generating an application in the KSS framework, you can create a knowledge base. The Knowledge Base is a database in which each word article (line item) dominate the associative links. In this sense, a knowledge base also means an application as well. The knowledge base categories appear in the specialized ontologies. Ontologies of the IT sense are narrower than expanded glossaries appear. While in a glossary of terms and their definitions found in the ontology beyond that appear thesaurus attributes, and other attributes as well. Research and development fall within the scope of the standards of making knowledge base. A descriptive type standard is difficult to learn, difficult to use. This will be easier if you put it in a knowledge base. Computing and automation covers the most professional work and standards play an increasingly important role in a variety of professions. Our StKSS project is our knowledge base product that makes the resulting software product standards, standards knowledge base and making the integration of the various languages. The result is a multilingual content management framework. By using the established knowledge base supports the understanding and use of standards. Using products in the R & D project ideas in our proposal promotes a better understanding of the standards. Providing an opportunity to have a language / country put content to simply transformed Scope containing another language / country. The report generation is not part of the KSS framework. The KSS contains some of the basic list. The report generation is very important for KSS related topics for further research and development. Users of the appropriate knowledge base needs statements and reports. Think of a family tree of the knowledge base. The word report has a lot of synonyms. For example: list of statements or tables. The KSS framework just wants to link the report-generating software and does not include it. For a wide variety of content and form, you cannot prepare the reports. Research and development is focused on the knowledge base that consists of several outputs. So everyone prepares a report they want. The software would be developed for the treatment of XBRL taxonomy schemas and documents described in the XBRL standard way. It includes a taxonomy schemas to support these and customization. Topics covered in the report generation yet, according to reports in the XBRL standard visualization software for implementation.